It all started back in the mid 80’s with Berkeley Windsurfing organizing a race from the rocks in from His Lordships restaurant- at the base of the Berkeley marina up to Anita Rock, on the San Francisco city front AND BACK! To remind you, windsurfing had just exploded internationally and California was the birthplace and one of the epicenters, hosting events like the windsurfers world championships in 1983, The O’Neill Classic and the Stroh’s Pro-Am slalom tour- all drawing hundreds of competitors in what was the biggest largest one design sailing class of its time! 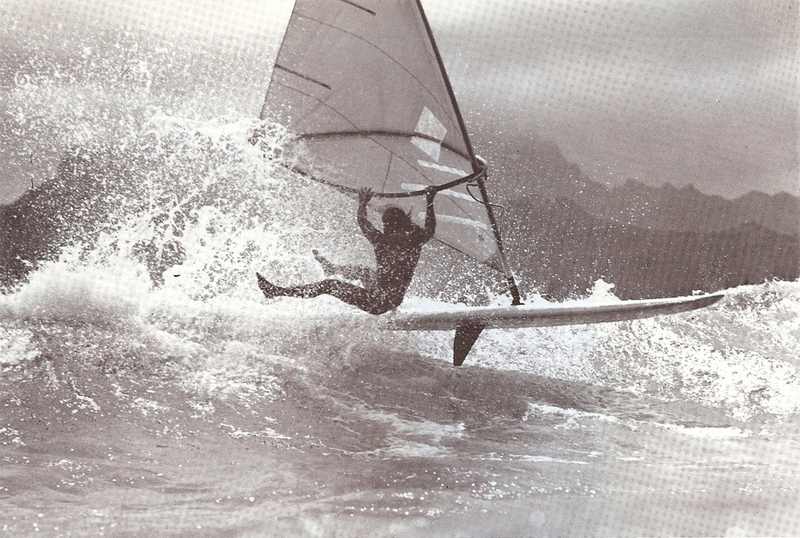 At the time, windsurf racers routinely sailed upwind with the dagger boards firmly in place beneath their boards. Once around the windward mark, they pulled the dagger out and carried it around their shoulder with a strap- regularly bouncing off the waves and knocking them overboard. The SF Bay challenge became so successful that it quickly outgrew the capacity of a the one person RC sitting on the rocks raising the start flag and recording the finishes 2-4 hours later. Enter- The St. Francis Yacht Club. With additional resources like safety boats, starting boats, race management and and international jury, The St.FYC stepped in to host the regatta. 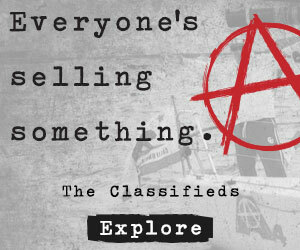 Only now- it would be sailed from the city front down to the Berkeley Pier and back. In the late 90’s Ronstan became the official sponsor with an official name change to the Ronstan Bay Challenge. Sometime in the mid 2000’s the kite boards were invited to race with the windsurfing fleet as the new sport was becoming of age. The windsurfers held onto the record for as long as they could- coming close to breaking the 1 hour mark for a 25 mile + tour of the Bay. 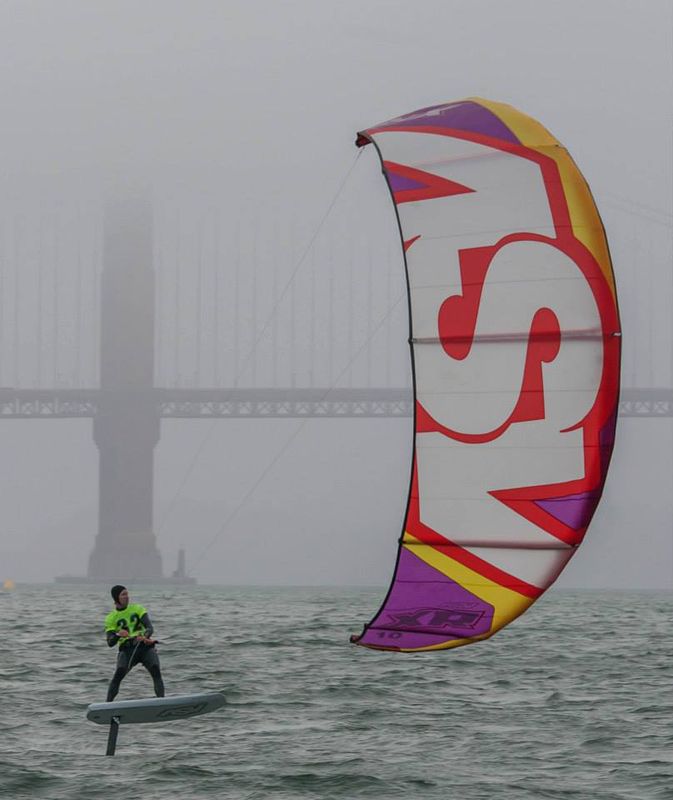 This year on a foiling kite board, Joey Pasquali obliterated the record by 17 minutes with a new pace time of 54 minutes flying 3′ above the water the entire race. To say- that foiling kite boarding has changed the sport- would be an understatement. They are absolutely killing it- almost 25 minutes in front of the first formula windsurfer. Photo of Joey thanks to Gusty Stambaugh. A huge thanks to the St.FYC and their crew of volunteers, 35 competitors and Ronstan for their continued support of high performance sailing. Full results here and full report here. Title inspiration thanks to Mike Jones.